Everything has a start, so do this love story of devil and travel started November 2008. Although this devil in the form of myself had traveled mostly all popular tourist places here in North India by then but never had a chance to do it on his own. Down, out, alone and almost surrendered to the most difficult phase of his life, devil suddenly thought of pursuing his passion of driving to start again @ life, take it a step further and explore if nature has the magic that can save him and turn into the person he was. Himalayas always had a history of being associated to peace and calmness, so devil decided to have a treatment called “Nirvana @ Himalayas”. He went to find the answer to the questions which haunts him every moment, top of the list being “Me or Devil? ?” The answer still remains elusive (conclusive to devil :)) but devil is getting closer to the same. By breaking the shackles of all so organized and planned trips, devil decided to head for the unknown adventures on his own wheels and find answers which have eluded him so long. No matter what the answers to the questions are but DEVIL will always be within me as a good teacher in this life. made an excel file covering Shimla kaza manali route. lot of information is taken and assimilated from various sites(not sure of when updated). since I haven’t been there , you are the right person to rectify /add/ delete what ever is required. (lots of info is missing though). 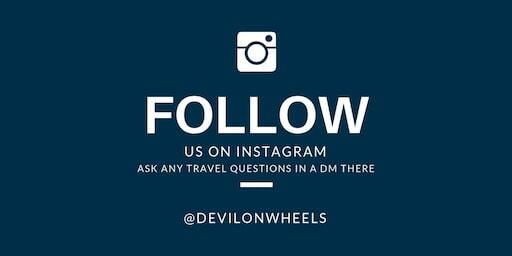 Also after reviewing nd rectifying it,if u could share that on dow website , may resolve lots of initial queries and will help to plan their rides and trips. if u see any benefits do mail your contact, ..I shall mail u the document. Dhiraj, emailed u the file. hope u got it. very nice blog. I am not very keen on travelling on road but like to explore places. Wanted to know how is leh/tso moriri road conditions in september usually. only myself and my husband are planning to travel from bangalore ? how would you compare tso moriri with pangong ? I follow your content regularly. I have a question. I am planning to visit Spiti in mid of august but hearing a lot of stuff from people that roads are not in good shape and monsoon is on so you will have trouble. Do you suggest visiting spiti in august? I am relying on you completely as you have a lot of travel experience in Spiti and Ladakh. I personally will not suggest to travel to Spiti via Kinnaur in monsoon time. However, if you cannot postpone it to September, then it is best to cover Spiti Valley from Manali side only without coming to Kinnaur. Incredible, Amazed by your effort. I think this website should also have a link where we can donate for some good cause ! As after reading this i wanted to donate/support this website just to show how much we value your efforts. *** Please dont take it otherwise broa. You might recollect me from IM if not no worries. I am awed with the collection of information you have summarized and categorized in a short span. Had been putting it off to go through your entire site and now it has become so big that it is going to take some time to devour it slowly !!! Just passing by to wish you all the best in your endeavors. I am really sorry for the delayed reply, just going through something rough and then had a server issue which took almost last few days to fix it for the site. I am glad you came here and visited my blog and found it interesting, do take your time to read through the info. and most importantly provide your valuable feedback where ever you feel and correct or update my thoughts too. Looking forward to see you here more. Thanks!! 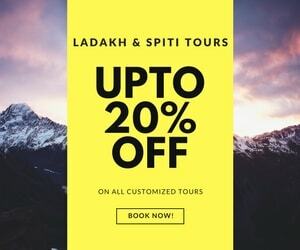 I finally stumbled upon the blog /site which is dedicated to travel with a special liking for leh-ladhak travels. Hi Mr. Dheeraj. Read many blogs of yours. Your Travel Cv is just amazing. Really like the way you travel. And Mountains…driving…exploring…can’t get better. Thanks for writing for us. Thank you so much Varun!! So, glad to read your comments and thanks again for liking the blogs/articles so much buddy. Pleasure sir, really… i have added this site in my Brain’s contact list. Hehe. Will surf it and want to emulate at least some of your feats. Dheeraj (it feels as if I am calling my brother because he has the same name) I was astonished to see your pages and moreover stunned by your hospitality to give back every quick and possible reply to your page lovers and thier querries. Well I am stucked with one right now and need some guidance as I am plannig my first trip to Ladakh that too in my own car which is a hatchback and that what is bothering me. Looking forward to your views. Also can you please provide your email id so that I can explain you about that in detail.